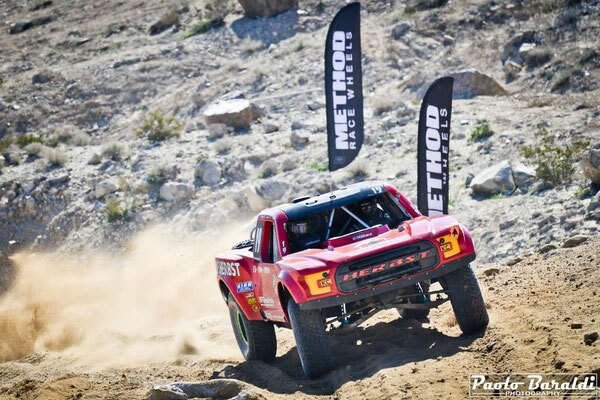 The big news of 2019 KOH Week was the Toyo Tire Desert Invitational Presented by Monster Energy with the powerful and fast T1 Desrt Truck that thrilled all the fans of the King of the Hammers. 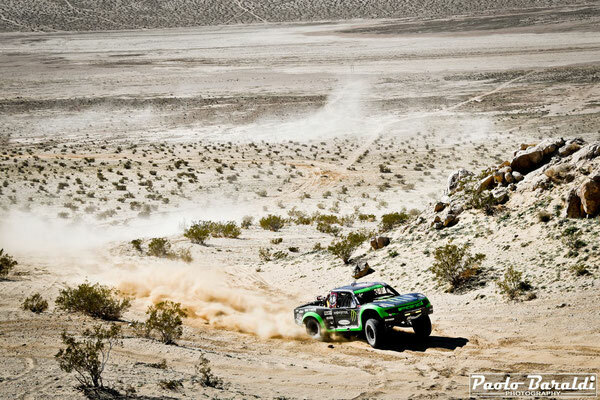 Luke McMillin won the race by taking home a check for $ 100,000. They are big, they are powerful and they are fast ... they are the T1 Desert Trucks, the big news of the 2019 KOH Week. 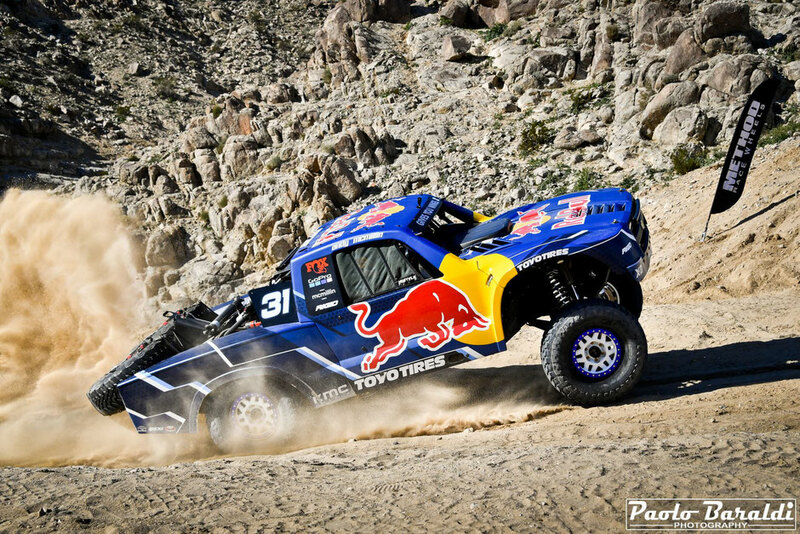 Toyo Tires and Monster Energy have offered a prize of 125,000 dollars, making this race one of the richest in the history of off-road racing to draw attention to the first edition of the Desert Invitational and the best desert drivers in the world immediately accepted the challenge. The Nitto King of the Hammers week in Johnson Valley has the reputation of being the most brutal race on the planet, and the 25 T1 Desert Truck drivers have learned very quickly that the attrition is not limited to the notorious Hammer routes. 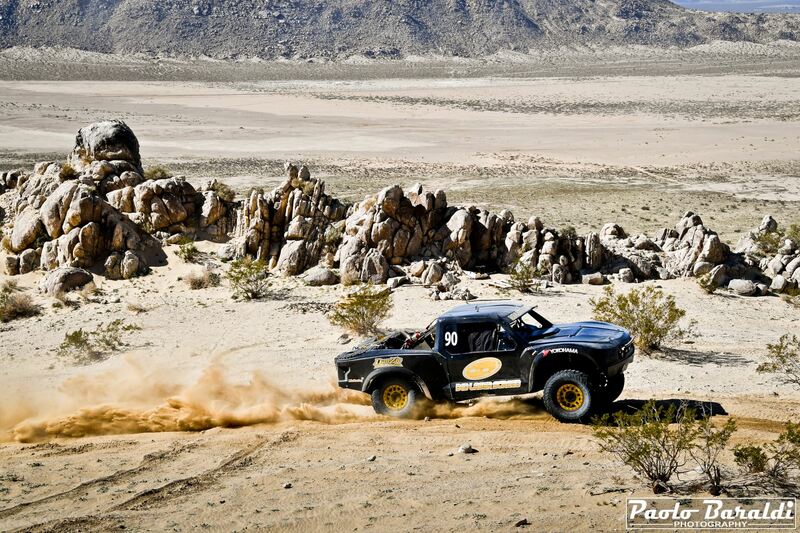 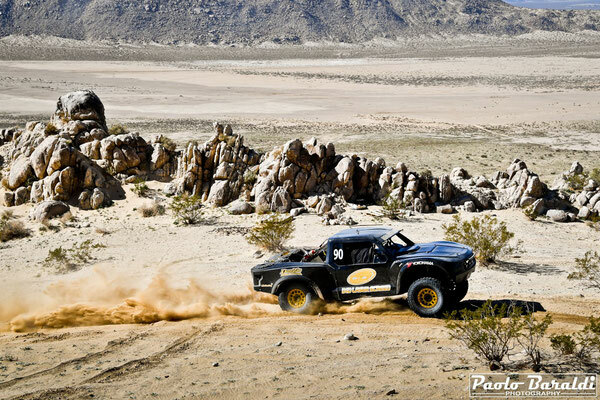 The race course included all the elements that can be found in the desert: from dry lake beds to rocky canyons. 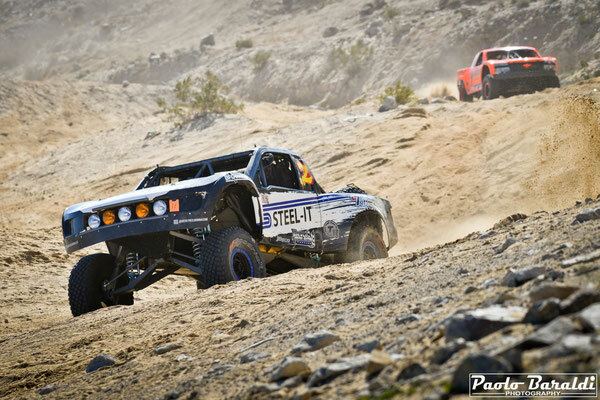 Inserted between the Every Man Challenge and the King of the Hammers, the Toyo Desert Invitational not only exposed the 50,000 Ultra4 fans in Johnson Valley to T1 Desert Trucks, it also introduced the desert racing teams to the unique community that is King of the Hammers. 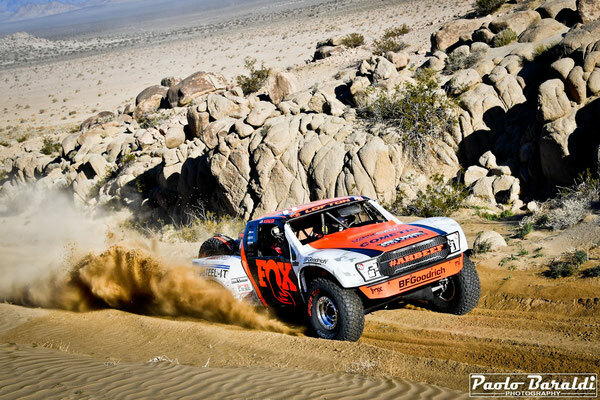 Prologue - Thursday, February 7th morning, not in the Short Course but along the 40-mile desert track, the prologue of the Toyo Tire Desert Invitational Presented by Monster Energy was held. 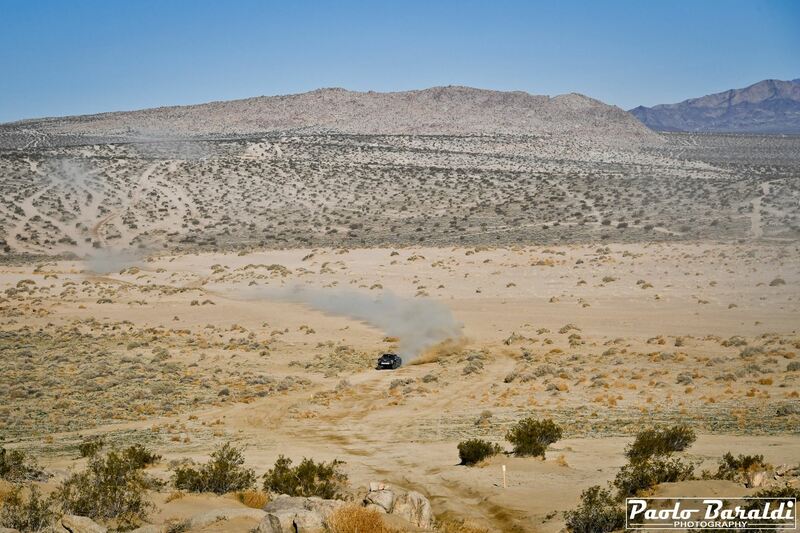 At this stage, the 25 drivers were able to become familiar with Johnson Valley and with a terrain that in many cases was different from the classic ones of this specialty. 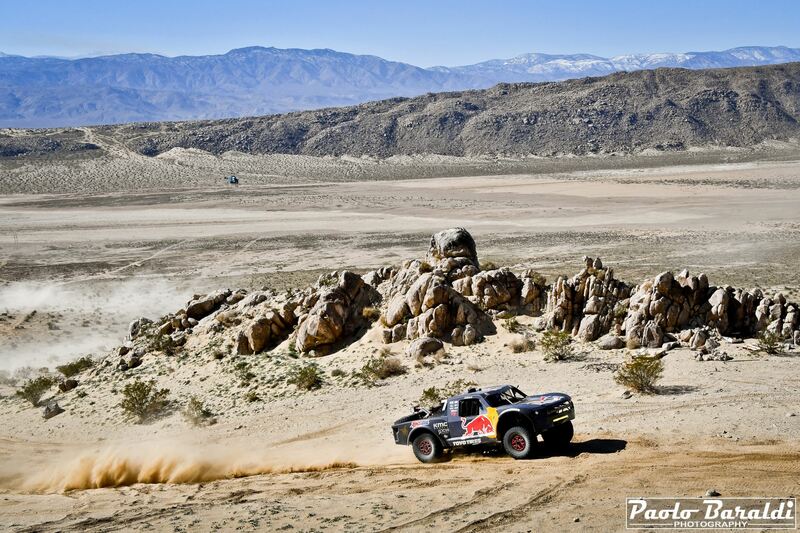 The prologue determined the starting order and Bryce Menzies (15:05.2) was the fastest of this first phase, followed by Apdaly Lopez and Andy McMillin. Toyo Tire Desert Invitational Presented by Monster Energy - If you had to place a bet on who would win the inaugural Toyo Tires Desert Invitational presented by Monster Energy, a McMillin would be a good bet. 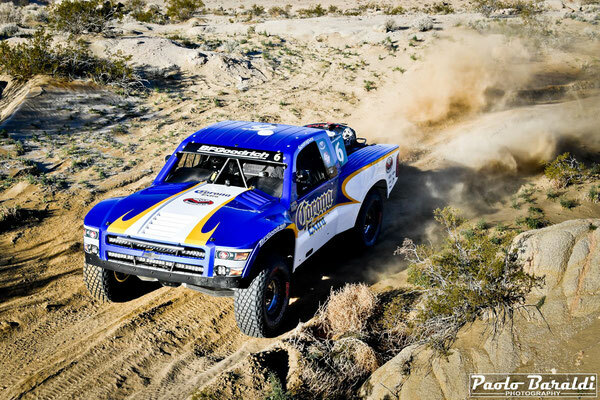 The iconic desert racing family fielded three racers in the 25-truck field - brothers Luke and Dan McMillin and their cousin Andy McMillin. 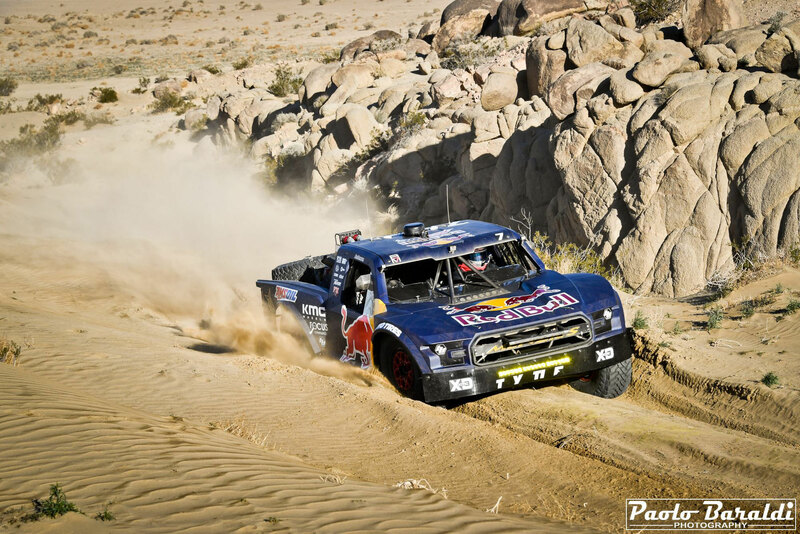 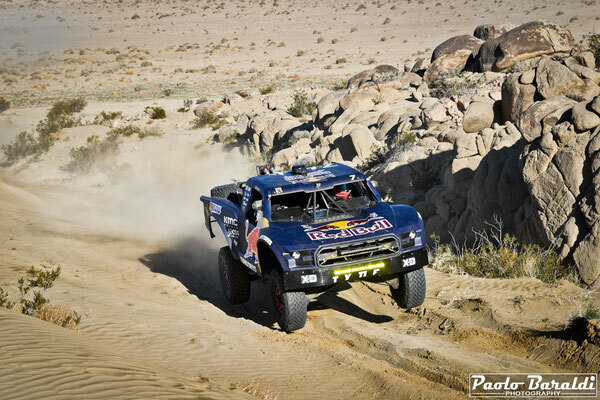 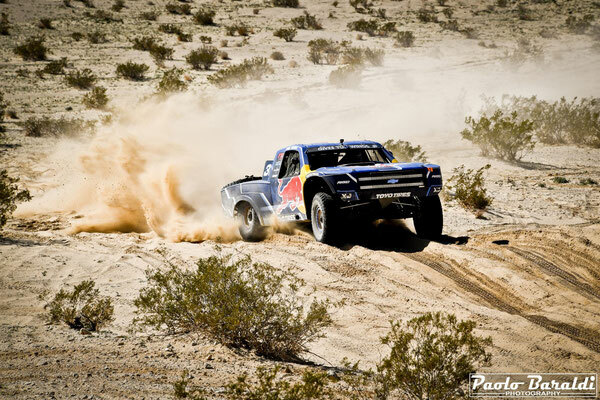 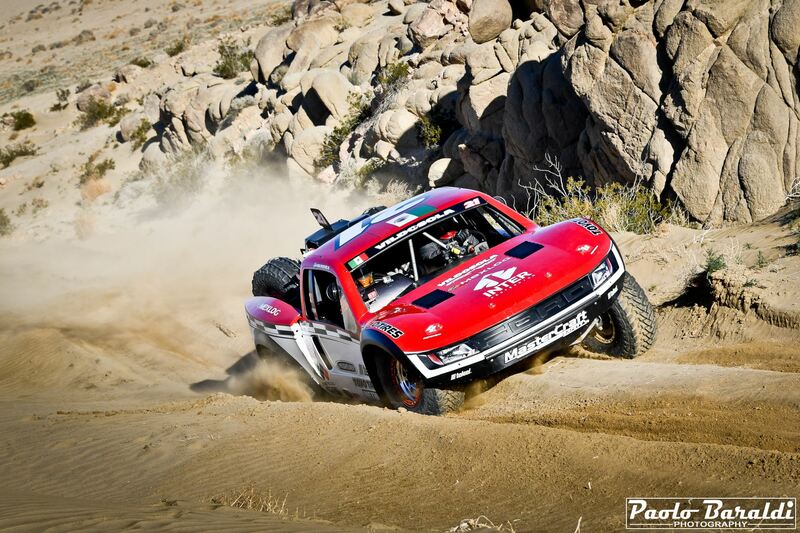 Multiple Baja 1000 winner Andy passed fastest qualifier Bryce Menzies to physically lead the first lap of the race in his Mason T1 Desert Truck before losing the rear ring and pinion after 110 miles. 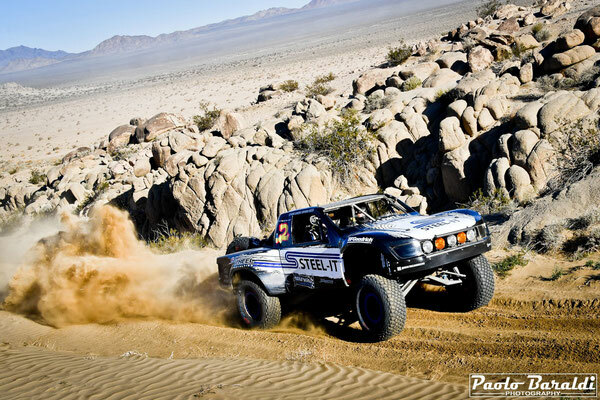 Andy was not the only one who suffered from broken parts, carnage was pervasive at the race, with flat tires and broken differentials being the most common failures. 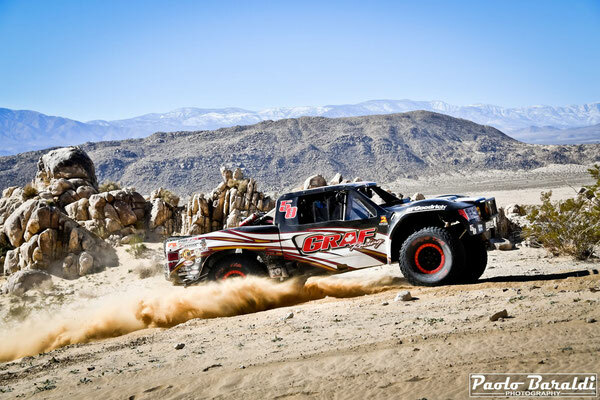 Only eight of the 25 competitors finished the 280-mile course, and they didn’t even run the rock trails that the unlimited 4400 Ultra4 buggies run as part of the Nitto King of the Hammers race. 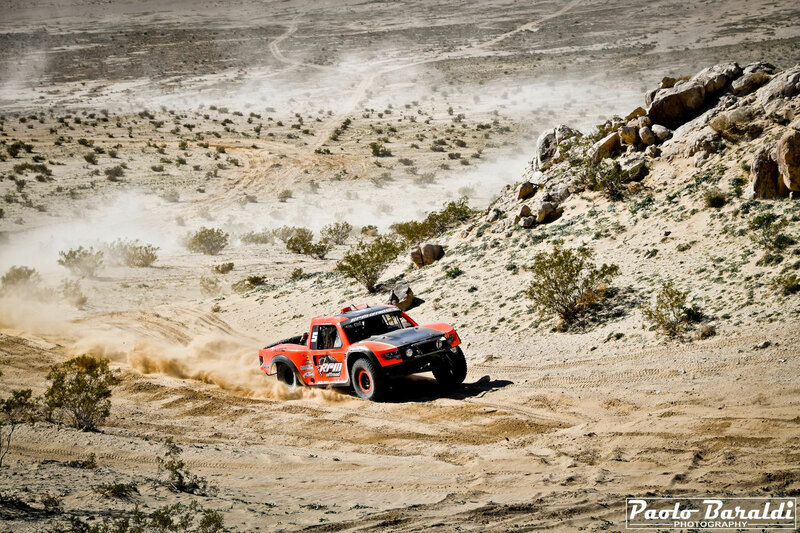 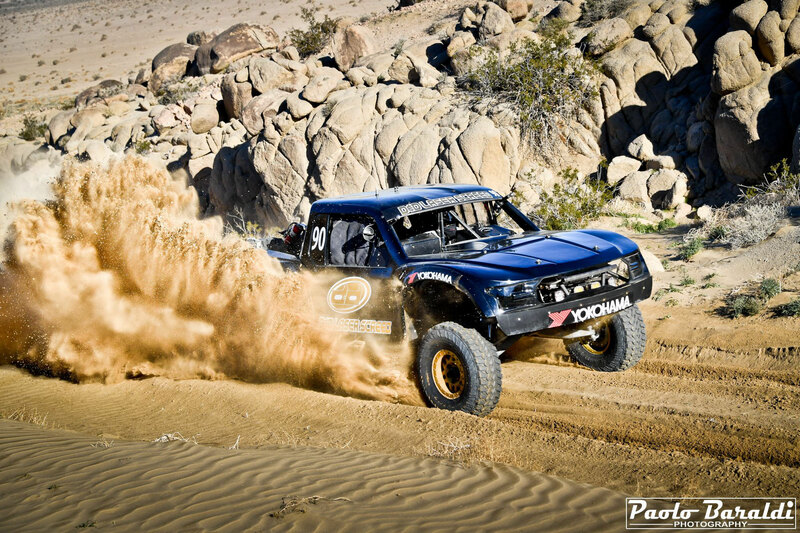 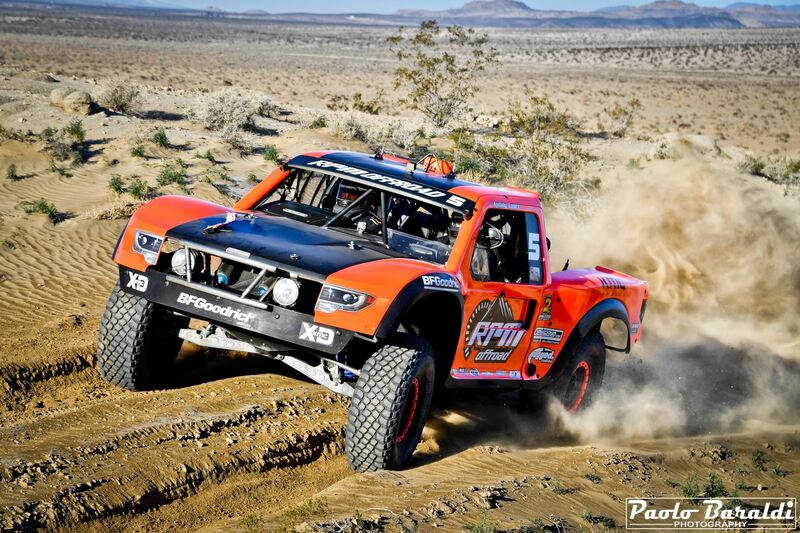 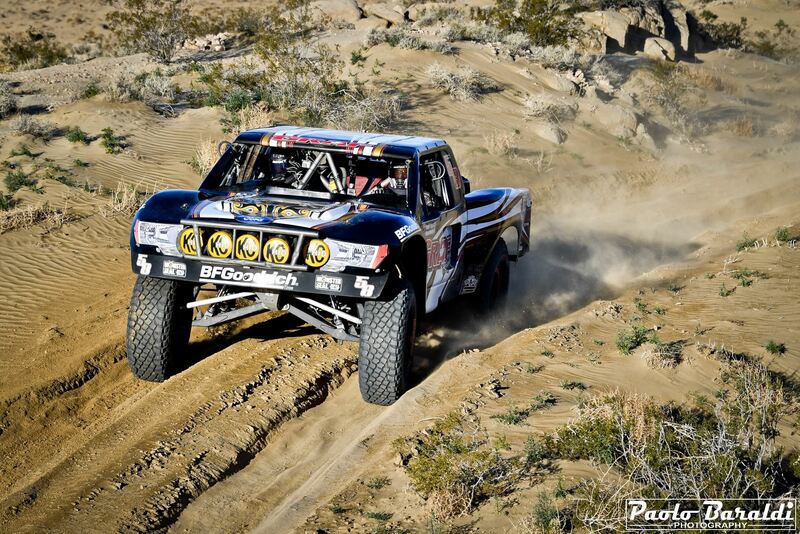 Television star Jesse James rounded out the finishers in his highly anticipated return to desert racing. After Andy McMillin and Bryce Menzies both succumbed to mechanical issues, Luke McMillin took the physical lead ahead of Justin Lofton. 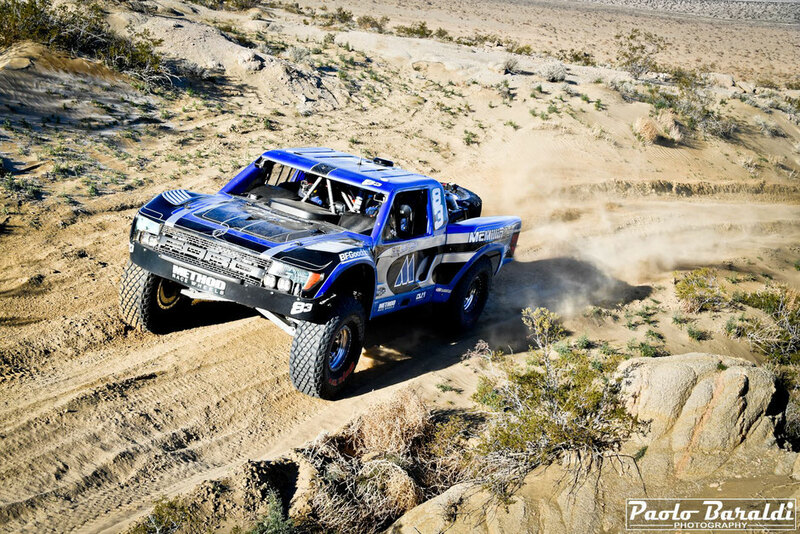 Luke is a third-generation racer from Southern California; younger than his brother Dan and cousin Andy, he has shown potential in the past but never won a major race; until now, that is.